We offer pick and mix training. That way, you get exactly what you want. We specialise in personality profiling. So you can be sure you�re investing in the right people. Want to improve working relationships? We can help you to overcome obstacles. So you can move your business forward. Take our career progression training. 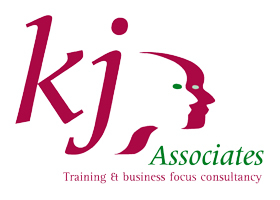 Welcome to KJ Associates, specialists in employee training and development. Whether your organisation employs five, five hundred or five thousand staff, developing your employees' skills should be an essential part of your business plan. All our training courses and one-to-one coaching sessions have been designed to help move your business forward. Take a look at our Services page to see exactly what we offer, or give us a call to discuss your requirements - we look forward to hearing from you.